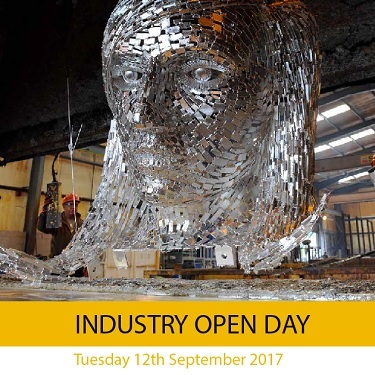 You are invited to join us for celebrating the Galvanizing Industry’s first Open Day on September 12th. It is a perfect opportunity for you to see how the domestic galvanizing industry contributes to building Ireland. This will also mark the opening of our new galvanizing plant in Dublin which will add 40% extra capacity. Hot dip galvanizing is a highly controlled factory led process, and anything from small components up to large structural sections can be galvanized. Whether it be for agriculture, street furniture, transport, utilities, construction, or the energy sectors – these are products for all spheres of life, even your garden gate. 12th of September, Galco will take a leading role in the first Industry Open Day, shining a light on the impressive alchemy that is hot dip galvanizing. During the plant tours, we will be hosting free RIAI and Engineers Ireland approved CPD presentations tailored to engineers and architects. All attendees will receive their certificates. See our in-house paint facility at our Dublin plant, where we apply Galvacoat paint directly to freshly galvanized steel. The coordinated site visits are aimed at giving specifiers and fabricators a valuable opportunity to learn how to extend and improve their use of galvanizing. Galco is Ireland’s largest hot dip galvanizer and has been proudly serving Irish industry for the last 50 years. We currently operate 5 plants in Dublin, Waterford, Cork, Galway and Derry. All steelwork is Hot Dip Galvanized in accordance with the standard I.S. EN ISO 1461:2009. We are also fully certified to operate to the ISO 9001:2008 quality management system. With 50 years of experience we offer nationwide coverage, competitive prices and a whole package of additional services including, transport, technical support and also an in-house paint facility.